In a step highly criticized by both experts and citizens, the government of President Jair Bolsonaro of Brazil has declared that a rewriting of history textbooks will soon occur. The 1964 military coup has caused numerous controversies in Brazil since the campaign and consequential election of Bolsonaro, who has defended the dictatorship many times. Tanks on the grounds of the Palácio do Congresso Nacional, or Palace of National Congress, in Brasília during the 1964 coup. Photo: Editora Bloch/Veja Rio/DEDOC Abril Archive via Guia do Estudante. On March 31, 1964, Brazilians who opposed the government of then-President João Goulart and feared a communist threat, marched alongside soldiers from the southeastern city of Juiz de Fora towards Rio de Janeiro, mobilizing the military to take over the government. Within days, Goulart, the democratically elected president, fled to Uruguay and was replaced by military general Humberto Castelo Branco. Many assumed the army would only rule until an election in 1965. Instead, the military dictatorship lasted for 21 years. In those two decades, the military dictatorship shut down Congress three times, illegally terrorized, detained, and tortured more than 30,000 people as well as caused the disappearance of at least 434 individuals. Unlike Uruguay, Argentina, and Chile which have all prosecuted people associated with dictatorships in the same era, no parties in Brazil have ever been held responsible. Bolsonaro recently allowed commemorations of the coup. His defense ministers have described the dictatorship as a legitimate response to “the clamor of the ample majority of the population.” The order enraged victims of the military dictatorship and their families. Citizens appealed to the courts to block the proposed commemorations of the coup, but after numerous rulings, the army was allowed to proceed with the celebration. On March 31, violence broke out between demonstrators for and against the dictatorship in the two biggest Brazilian cities, Rio de Janeiro and São Paulo. Carlos Fico, a History professor at the Federal University of Rio de Janeiro said the government's initiative is "a purely ideological denial attempt" that will fail. "In the field of historiography there is no doubt, there is no debate of this kind. No one is denying that there was a coup and a dictatorship because it would be considered ridiculous," Fico said. Despite Fico’s claims, Mr. Velez Rodriguez described the 21 years of military rule in Brazil as "a democratic regime by force." “The role of the MEC [Ministry of Education] is to ensure the regular distribution of the textbook and to prepare the textbook in such a way that the children can have a true, real idea of what their history was,” Vélez Rodríguez said. Describing the upcoming alterations “there will be progressive changes [in textbooks] to the extent that a wider version of history is rescued,” Velez Rodriguez said. 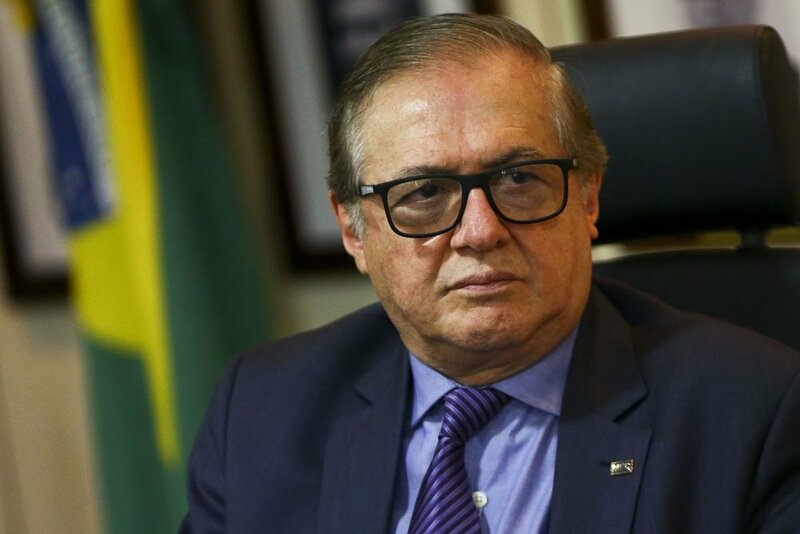 The Education revisions proposed by Bolsonaro’s government were criticized by the president of the Brazilian Association of Textbooks, Cândido Grangeiro. He expressed feelings against “any type of revisionism based on opinions" instead of academic research.